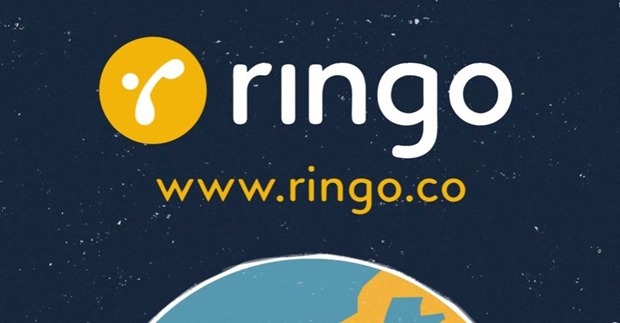 After being rolled out in more than a dozen countries across the globe, Directi has now introduced Ringo (the international voice calling app which does not require an internet connection) to India on Wednesday. The app which was launched in May 2014 is now popular in 16 countries including the US, the UK, Australia, Brazil, Canada, Germany, Hong Kong, Japan, Poland, Singapore, Spain and Switzerland amongst others. That should sound like music to all those who pay huge bills to stay connected to friends, family and business contacts in different parts of the world every month. An important thing you need to keep in mind however before you rush to see how you can use this app to cut your calling bills to one fourth is that the app does not allow you to make local calls. Ringo is unique in the sense that it lets you make international calls without connecting to your Wi-fi or 3G data and can be used to call any landline or mobile number anywhere in the world at less than 25 percent of the costs you would normally pay to use other international calling apps. Not using the internet means that the voice quality will not depend upon the strength of your data signal or the mood of your service provider! “Unlike other OTT voice apps, Ringo calls do not use the Internet, Wi-Fi, data or carrier minutes. Making a call using Ringo is identical to making a call through your carrier, in terms of quality, and yet costs 70 percent lower than standard rates offered by most telcos,” said the company in a statement. 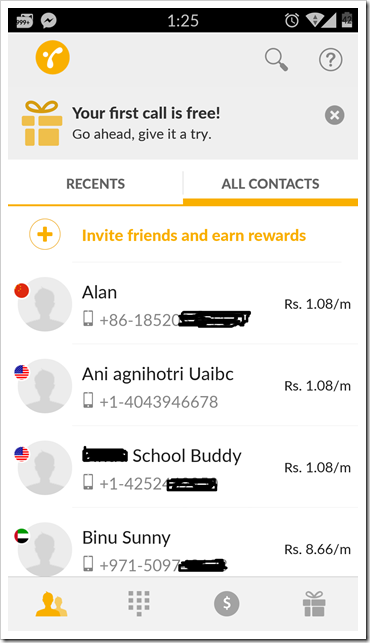 How To Use Ringo To Make Low Cost International Calls? To start using Ringo, begin with downloading the app from the Google Play Store, Apple iTunes or the Windows Phone marketplace. 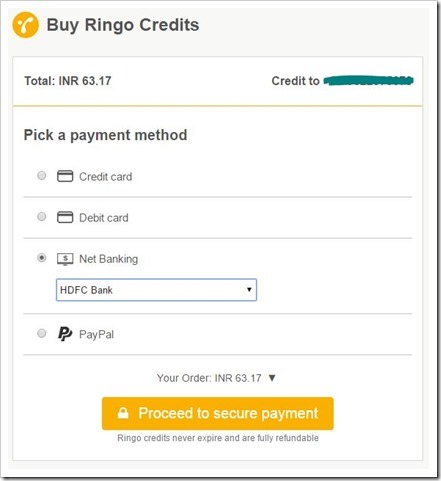 Ringo offers first call credit free of cost, so you can test their services. In our case we got a free credit of about 50 cents or Rs. 30. This credit can easily make a US or UK call for about 20-25 minutes! 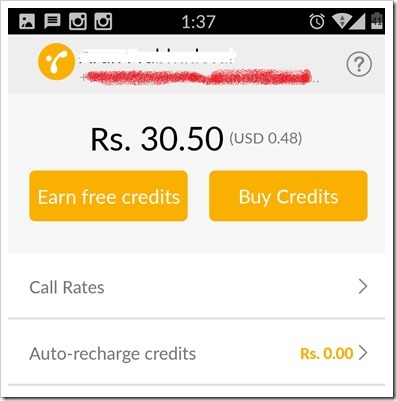 To make a additional calls you will need to transfer some balance (Rs 25 to Rs 250) to your Ringo wallet. Thankfully, you buy credits using credit card, debit card, paypal and even netbanking. Most other apps have a problem with this because they accept only credit cards! calling is easy as well – Ringo app will find all your international contact and best part is that it will find which country it is from and accordingly show you the rates for that country next to the name, so you exactly know how much it is going to cost you! Users of the app can make international calls to landline or mobile numbers in US, China and Canada at Rs 1.08 per minute, Rs 2.24/min for Bangladesh and Rs 8.66/min for UAE. Over the launch on Wednesday, the company officials explained that the app uses a unique call flow to convert international calls to local calls. When an Indian Ringo user calls another user based in the United States, the app will automatically dial out a local call to the Indian user and another local call to the UK user and connect the two over reliable carrier circuits. Leading network providers in the country have lost a huge percentage of their monthly revenues due to instant messaging apps gaining popularity. Only yesterday, it was pointed put how WhatsApp messaging has gone on to become more popular than the conventional SMS and the number of messages being exchanged over the platform daily now outnumber those over the SMS services. The telcos are forever ready to cry themselves hoarse whenever they feel threatened by other apps and services. It will be interesting to see how they react to this new app (perhaps, seek a ban on it?). Not only the telecom providers, Viber, Whatsapp (who is said to be experimenting with a voice calling feature) and Skype will have to watch out too. Viber and Skype, though free, do not allow the same degree of freedom as Ringo and are largely dependent upon the signal strength of the internet connection. Poor voice quality and frequent call dropping is more of a norm than an exception over both these platforms. If users are promised more sound clarity without call dropping, they might not mind paying charges as nominal as those. So go ahead and try out Ringo! Not only get it yourself but also ask your friends to download it – every time someone signs up for the app through you, you get 25 cents in your Ringo wallet!